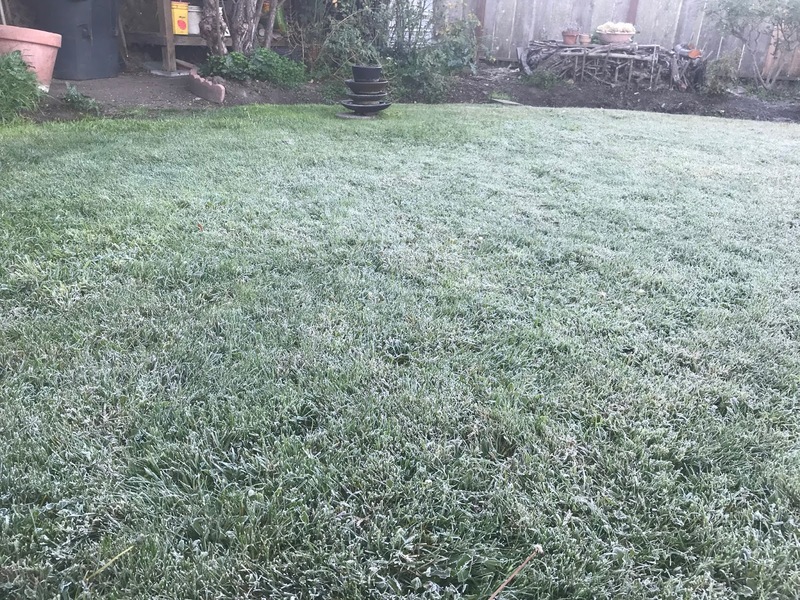 Salinas woke up to a decent frost on the lawn and rooftops on Monday, Dec.4, 2017. Let's give a group cheer for Mother Nature and hope for an even more severe one in the coming weeks. Frost is a natural occurrence along the Central Coast with harder frosts happening inland and in lower lying areas. Cold air does roll down the slopes and settle at the lowest point in the valley. A good frost helps roses slow down and rest in anticipation of daylight increasing gradually and temperatures doing the same. Benefits of a good hard frost also include the end of the weed cycle, the dropping of leaves on deciduous plants, plus a general reduction in fleas, ticks and other insects which can double your pests if adults winter over. Invasive plants such as Kikuyu and Bermuda grass are tender and will die back with a good frost. Bindweed is also looking pretty tawdry now. However, unless we get a really intense frost which only happens every 30 years or so, death only occurs above the soil line. With rain and warm air, they'll be back. Some people begin pruning back roses bushes in December, especially when they grow 100 plus roses and rainy weather may delay the process. I usually recommend starting in January and projecting a finish in February for folks growing just a few dozen roses. However, if certain canes keep snagging me as I work around the garden, they'll get a quick snip. Also, any dead (or nearly dead) canes can be pruned immediately. Also, clear out any annuals you might still have in the garden barely clinging to life. Keep the yard neat and clean with plenty of air circulating around and you're more likely to reduce the fungal diseases: blackspot, mildew, and rust. With the increase in leaf drop, make sure you rake them all up and dispose of them in a garden waste container. Don't put dead rose leaves in your compost pile. The spores of fungal diseases might not be killed and many insect eggs might also make it through the decomposition if the internal temperatures are high and sustained.